Before you can learn how to cook everything, you will need to start with some of the basics to simple cooking. If you are trying to read a recipe or receiving cooking instructions from someone, it will help if you have some understanding of general cooking terms. Many recipes will tell you to use a double boiler or to scald milk; do you know what a double boiler is or how to scald milk? (Double boiler is stove top set of pans, one on top of the other, used to cook or melt foods which prevent burning.) (Scalding milk is to bring almost to boiling point and then letting it cool.) The recipes do not tell you this so it would be hard to follow the recipe without knowing things like this. THE FOLLOWING PAGES WILL BE HELPFUL LEARNING HOW TO COOK EVERYTHING; MOST PAGES WILL INCLUDE RECIPES. Select good recipes which have been tried and recommended by family and friends. Learn how to plan a well balanced highly nutritious Meal to feed your family. 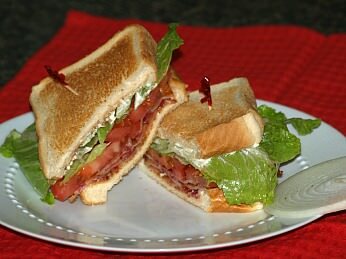 The Bacon Lettuce and Tomato Sandwich is one of my favorite sandwiches. I make mine with lots of bacon. During the winter months we all need Cold Weather Recipes to warm us; even the birds need food. There are certain pantry staples that should always be kept in your supplies; recipes can be wiped up in a hurry in emergency cases. 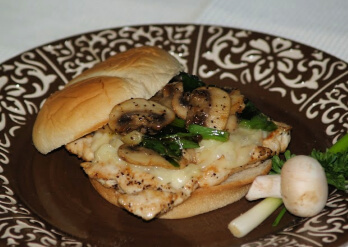 Make tasty chicken breast sandwiches like the following recipes: chicken Parmesan, Swiss chicken, Tex Mex chicken, mushroom chicken, broiled chicken with red cabbage slaw, barbeque chicken, chciken club, honey mustard chicken, cold Greek and a spicy southwest sandwich! Eating when visiting Charleston SC is really great; recipes for fried oysters with green goddess dip, oysters in marinade served with fried green tomatoes. Learn the general Cooking Terms to how to cook everything and baking much easier. Learn How to Cook everything from scratch, what items and utensils are needed, how to choose recipes and more. Do not overlook tips from experience that you read or hear about; eventually most of them will come in handy when learning how to cook everything. When Cooking by Ingredients, buy the best quality cooking products you can afford; it makes a difference in the recipe. This free Food Guide will help you with converting the measurements in your recipes. Iris Flowers Festival serves up some good food as well as sometimes offers great products for the kitchen. My sister does Fine Cooking even though she considers her food basic and simple; she is a very good cook with recipes. Learn how to measure and get the best Cooking Measurements for your recipes. Start with a few items and add to them as you go; a bowl, large spoon, teacup and silverware spoons can get you started. Learn about selecting Bakeware; included is a list of various sizes of baking pans and dishes. Learning how to purchase Kitchen Supplies and keeping them will be more convenient when learning how to cook everything and also can save you money. Metric Conversion Table is a great help when converting recipes from US to metric, from metric to US and Celsius to Fahrenheit. Cooking with Vinegar has been done for thousands of years; vinegar has many more important purposes. Special food recipes come along with Fall Foliage; pumpkin, squash and cake recipes. Steaming hot Cold Weather Recipes are warming on cold days of winter; cake included too. There are Food Fads that come and go; then there are those which come and stay like sandwiches. Travel Foods are important to pack on trips; when flying light snacks are better than a meal and upon arrival food may not be available. Mt Dora Florida Food served in the restaurants and the activities in the town can be a very fulfilling day. The Joy of Cooking was enjoyed by my entire family when I was growing up; Sister Gloria’s recipes. Food in Small Towns in Tennessee can be anything from Mexican dishes, stroganoff and great banana bread. Choose one of the Culinary Arts Cooking Schools which fits your needs. Vegan Recipes have become very popular in recent years; they can be healthy as well as economical. Agar Agar is a vegetable substitution for gelatin. Crockpot Recipes have become very popular since this slow cookers creation; recipes for vegetable beef soup, beef burgundy, barbeque beef, chicken paprikash. Sandwich Recipes came along as a convenient quick food and a provision for packing lunches; today they range from simple to very elaborate. Party Sandwich Recipes are a great food for crowd size gatherings; they usually can be prepared ahead making them very convenient. Ham Salad Sandwich spread can be made with ham or my cheaper version, but delicious, is made with bologna. The Muffaletta Sandwich is very special and so delicious; my recipe for the bread, olive salad and assembling. 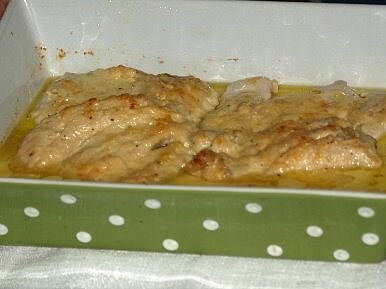 Tips and techniques for cooking for one or two people plus a great veal schnitzel recipe. Learn how to make shepherds pie in a muffin tin, with beef or lamb, and for a crowd. Knowing and having on hand the right cooking utensils will make preparing a recipe much easier. When learning to cook everything, would you be flexible enough to substitute some other piece of equipment. If you run out of an ingredient when in the middle of preparing a recipe, knowing something about cooking conversion can save a lot of time by substituting with something else. Cooking measurement accuracy is utmost important for the end result of your product. Really all these problems can be prevented by reading your recipe thoroughly before beginning. You might want to select something else if it becomes a hassle. Start off cooking some simple recipes or some crockpot recipes. You will find many easy free recipes right here on the website; the ones I started with when I had only one little pamphlet of recipes. My friend Mary is an experienced cook she also has tried and true recipes. Take advice from experienced cooks who offer you cooking tips. Make sure you understand the differences in cooking methods, such as frying, boiling, broiling or baking. Read every recipe thoroughly and learn to understand key ingredients in a recipe which leads to a delicious final product. Would you prefer to use butter or margarine? Is it best to use solid shortening or oil? Sometimes a recipe will give you a choice; would you make a good choice? If you are out of the ingredient called for in the recipe, is it worth substituting another ingredient or are you best to wait until you can buy the one in the recipe? Learn more if you don't know cooking measurements like how many teaspoons in a tablespoon. These are somethings you will know when you learn how to cook everything. 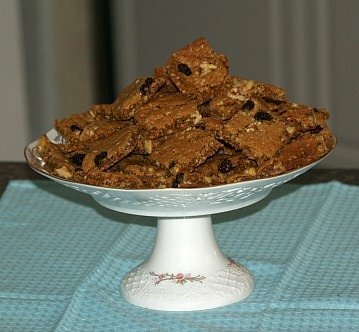 If you are learning to cook everything, you will find an abundant of recipes with chocolate. Chocolate is the one most loved product all over the world. 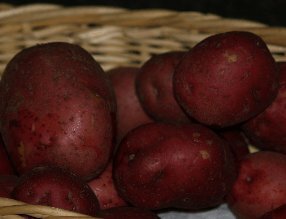 It is referred to as the “food of the gods”. A “chocoholic “ yearns for chocolate dessert recipes whether it be a piece of moist chocolate cake, chunky chocolate chip cookie, a luscious chocolate dessert recipe or a rich piece of chocolate fudge. Knowing where chocolate is grown and how it is made will help you understand its use in cooking if you want to know how to cook everything. The process of turning a cocoa bean into chocolate can vary the flavor a lot. You can learn how to pick the right chocolate for each of your products. If you run out of the chocolate in the recipe, do you know how to substitute with another chocolate product? NOTE: If you do not have unsweetened chocolate you can use for each square of chocolate 3 to 4 tablespoons cocoa plus ½ tablespoon butter. Melt chocolate and butter in top of double boiler; stir until completed melted. Combine melted chocolate mixture with 1 cup sugar in mixing bowl; blend well. Stir in eggs and vanilla until completely mixed. Add baking soda, flour and salt; mix until well blended. Chill dough until easy to handle about 30 minutes. Shape into one inch balls; roll in sugar and place on greased cookie sheet. Dip bottom of glass in sugar and slightly flatten ball. Bake 8 to 10 minutes or until set; remove and cool on rack. You can learn how to cook everything from every culture simply by learning the taste of different ingredients like spices, herbs, wines and creams. Imagine a Mexican salsa recipe without cilantro and garlic! Food from Italy is flavored with garlic, basil or oregano or quite often all three. 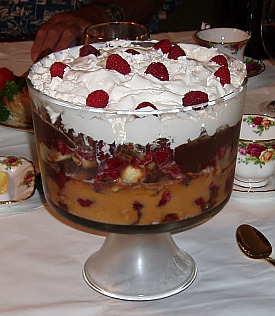 Why do you think that delicious French dessert recipe for a “Napoleon” is so rich and creamy? It is made with heavy whipping cream. There is rarely anything low fat in the French kitchen! The Goblin Market restaurant mixes many of these different techniques and flavors. Having an understanding of the main flavors of countries around the world will help in cooking those recipes. Growing a simple herb garden at home will deliver you an authentic taste of these recipes. For those of us who want to know how to cook everything find traditional foods from around the world very interesting, especially at holiday time. Popular dishes for Easter in Italy are the frittata and Easter pie. In Ecuador, rice dishes, like mildly sweetened rice puddings are popular at Easter. Here in the United States we have many holidays that other countries do not celebrate like Thanksgiving. This is of interest in other parts of the world and they might want to know how to cook a turkey. When dealing with recipes “of the world” it is helpful to know the metric conversion table. For someone just starting new in cooking, the thought of learning how to cook everything might be overwhelming. You don't need to start out knowing how to plan a meal. Remember that even for an experienced cook, simple is often still the best. Overcooking is one of the problems that most of us face at some time but there are remedies if it is not burned. Roasted meat that crumbles when trying to carve should be left to cool 10 minutes. If it still fails the meat can be minced or ground and used in other recipes to prevent waste. If meat is overcooked outside but undercooked inside, cut in thin slices and place quickly under broiler on each side. If meat has been boiled too long, cut in small pieces and cover with a flavorful sauce. Rice is often overcooked. If this happens to you, wash it in cold water and drain; spread out on a large platter. Cover rice with a cloth and reheat in a very low oven; it is ready to eat. Alternately, fry a lot of onions and mix with rice, pack mixture into mold and bake in oven about 10 minutes. These thing happen from time to time even when you know how to cook everything. If spaghetti or pasta has been overcooked, rinse thoroughly in cold water and drain. Bring pot of water and a little oil to a boil; dip pasta in to heat and drain before serving. 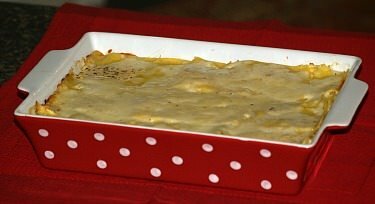 Overcooked vegetables can be pureed, mashed or creamed before serving. This makes great creamed soups. There are exceptions when learning how to cook everything to these if foods are burned too much where the burnt flavor goes through the food. The first thing to do with these foods is to immediately tip the pan and empty the contents without scraping the pan. You will waste the stuck food but may be able to salvage the rest. If there is still a lingering burnt taste in the food, cover the dish with a damp cloth and leave it for half an hour; the taste should improve. You can add seasoning and sauces to help cover the taste. BELOW How to Cook Everything Includes A Delicious Beef Brisket Make a Beautiful Presentation!